Feed-additive specialist DELACON has recently established new regional sales administrations across the world. Meeting the need of their strong long-term market growth has driven the Austrian nutritional experts to branch out to the Asia and Pacific area (ASPAC), across Europe, the Middle East and Africa (EMEA). 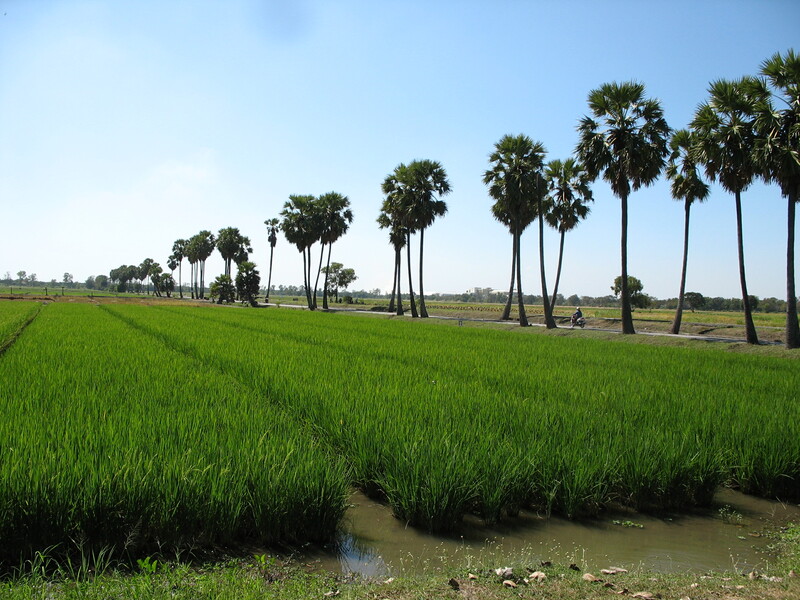 In 2012 Asia became one of the largest sales regions for DELACON which is no surprise considering the rapid growth of the agricultural market in China and surrounding areas such as Cambodia. The local sales team has expanded the distribution network by appointing additional partners Sze Eng Kian who is Regional Manager North-East Asia, Gina Medina the Regional Manager South-East Asia, and Kevin Wang who becomes General Manager for China. DELACON has also reorganized and expanded the EMEA sales region managed by Alban Llorca (EMEA regional manager). Bernard Paumelle has been appointed Business Development Manager, responsible for new market entries in the Middle East and Africa, another area where the industry is flourishing thanks to technological advances and education. Annelies Diericx, Area Manager for North-West Europe and Michael Binder, Area Manager for Central Europe are responsible for sales and distributor liaison in their respective areas. As the largest researcher, producer and distributor of phytogenic feed additives in the world DELACON delivers solutions that improve animal welfare and nutritional efficiency, while reducing environmental impacts of animal production operations. Since 2010 the company has invested heavily in its research and development with a strong ethos in nurturing new talent to sustain its world-wide growth and innovative capital. 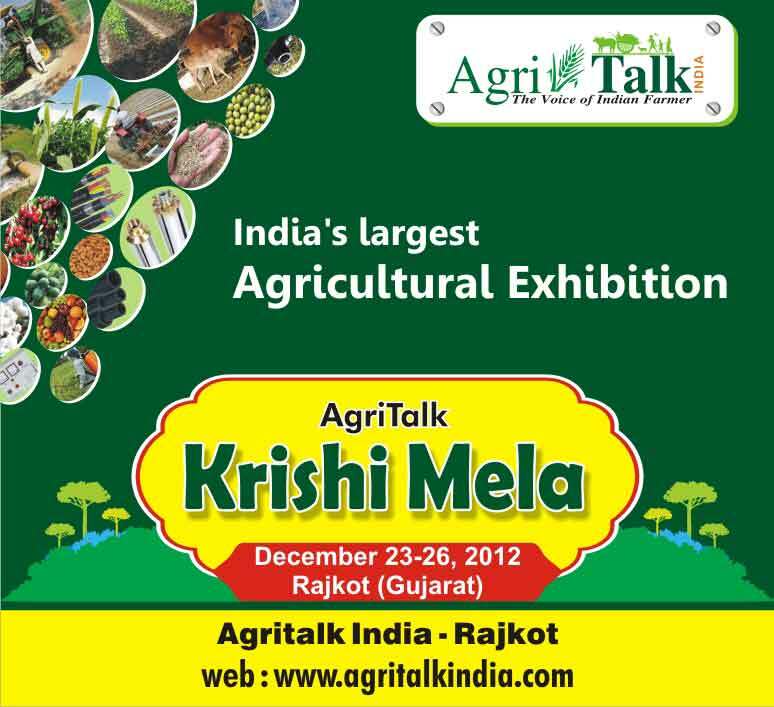 AgriTalk India-2012, India’s first biggest expo on agriculture will take place this year as part of a collaboration between Junagadh Agriculture University, Aatma Project and Infocom World both of whom are based in Rajkot, Gujarat. The expo is scheduled to be held for 23, 24, 25 & 26th December 2012 at Shashtri Maidan, Gujarat with the aim of the exhibition promoting agriculture entrepreneurship among farmers. The organizers behind the event hope that AgriTalk India-2012 will serve as a platform for farmers, companies, producers, and service-providers to gather under a single roof to share knowledge, technology and innovations. Visitors and exhibitors will be given the chance to showcase their innovations and technology to potential buyers and establish new business contacts across the country at single venue, bringing the potential future of agriculture all under one roof. You could also be exposed to new markets, agents and distributors some of whom will be making presentations and demonstrations, which you can do too. Farmers are going to be honoured in different categories for their innovative and extraordinary work and contribution in their farming activity through various awards as part of the heralded Khedoot Awards. This exhibition will attract visitors from Gujarat as well as from adjoining states like Madhya Pradesh, Maharashtra, and other parts of India which ranks second worldwide in farming output. With the country’s market growing at a rapid pace it could be time to join AgriTalk India-2012 to make your agri-products and services known, build new partnerships and generate new business opportunities. There is still time for exhibitors and visitors to register their attendance to be part of AgriTalk India-2012 simply by visiting www.agritalkindia.com, where you can also find information on accommodation, food and travel. With most of the worlds grains & cereals harvest already under or just about to begin, the prospect of damp corn coming off of the combine will not appeal to farmers. Some farms use big continuous flow-driers for their produce but more often than not the smaller mobile units are used. Sturdy as they may be they all need pre-harvest maintenance which is why product manager Angus Steven from Opico teamed up with Farmers Weekly to bring you some helpful-hints in basic maintenance for your machine. However it is always recommended that you have your equipment checked by professionals at least once a year. 1.) Burner – The liquified petroleum gas (LPG) used in these models heats up in the dryer and then exits through a series of small holes in a burner ring, which can get blocked. Using a gas nozzle cleaner, a pipe cleaner or even a 5/64in drill-bit you can clean most of the built up residue away. The long-terminal spark plug gap should be 3/32in, if it isn’t and the terminals aren’t encrusted with lots of carbon try giving it a good clean. The silicon-core HT lead can also deteriorate after a few years and sometimes gets gnawed by rodents so check it for damage and replace if necessary. 2) Flame Detector – The flame detector cuts off the fuel supply if the flame goes out. The most likely problem to occur here is the capillary tube involved can sometimes break off, so it’s worth checking for signs of damage. Similarly, there’s an air pressure switch with a pipe attached to it that shouldn’t be blocked. 3) Fan Driveline – This is simply a case of checking the bearings and for any signs of wear and tear on the belt the tension for which should deflect by 1-2in. 4) Agitator – The gearbox oil level should be checked once a year and, if necessary, topped up with EP90 gear oil. The four guide rollers sometimes have a tendency to move over time so just check their allignment within the race turning an eccentric nut which moves them in and out. 5) Bearings – Try to keep the dryer undercover, clean out the bin-well and leave the door open once the drying season is over to protect the bearing at the bottom of the vertical auger which should sit 8-10mm above the bottom of the bin-well. If you have to replace the bearing, the two rubber seals will need changing at the same time. According to Mr Steven it might seem a pointless exercise, but it is a false economy not to do so. It can mean the difference between the bearing lasting six to seven years rather than just one or two years. A couple (literally) of pumps of grease around the bearing every 100 hours will also prolong its life. In the same area, the large washer at the bottom should be loose enough to turn if it isn’t you will probably need to check the pressure on your bearings. 6) Discharge Head – If you need to take the discharge head on and off, make sure you grease the stub shaft well and that the flights make up a continuous, undamaged spiral. There should be just a 6mm (0.25in) gap between the ends of the two auger flights. 7) Loading Hopper – Check for grain in the agitator chain drive if there is any it’s coming in too fast. Adjust the volume regulator so that it takes about 15 minutes to load 12t. 8) Augir Drive – Check the tension importantly that there isn’t too much of it, otherwise it can flip over or jump off the pulleys. Again Mr Stevens recommends only using Opico branded belts when replacing. 9) Grain Guard Sensor – Check that the gap on the motion/speed sensors is right, otherwise the electronics will stop the dryer. Beware bridging the contacts as a quick fix. 10)… Farmers Weekly did provide a tenth tip in their original report so for the sake of my own superstitions tip-ten courtesy of IMD is to consult a professional engineer if you haven’t done any of this before! 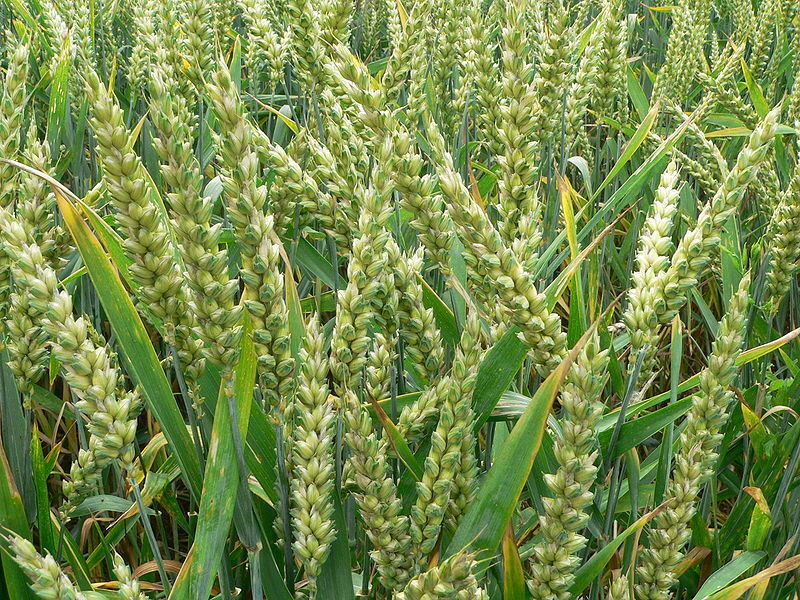 High humidity and wet weather in the UK could set a high risk of mycotoxins in cereals this year according to a warning from HGCA reports NFU. Weather conditions for many regions last season were relatively dry and, in general, mycotoxin levels remained below the legal limits. However, farmers and producers are being encouraged to air on the side of caution of the European legislative limits for the most common mycotoxins in grain intended for human consumption and also for feed. Unfortunately July has also been wet but this recent spell of heat has provided some small hope for farmers across the country. However August is going to be as equally unpredictable according to the Met office with the south likely to see the most of whatever dry and bright weather there is. Just in case you missed our blog about about its launch here is a brief yet insightful video demonstration introducing the new Global-Milling News-feed, the most comprehensive news-portal entirely devoted to the milling industry. 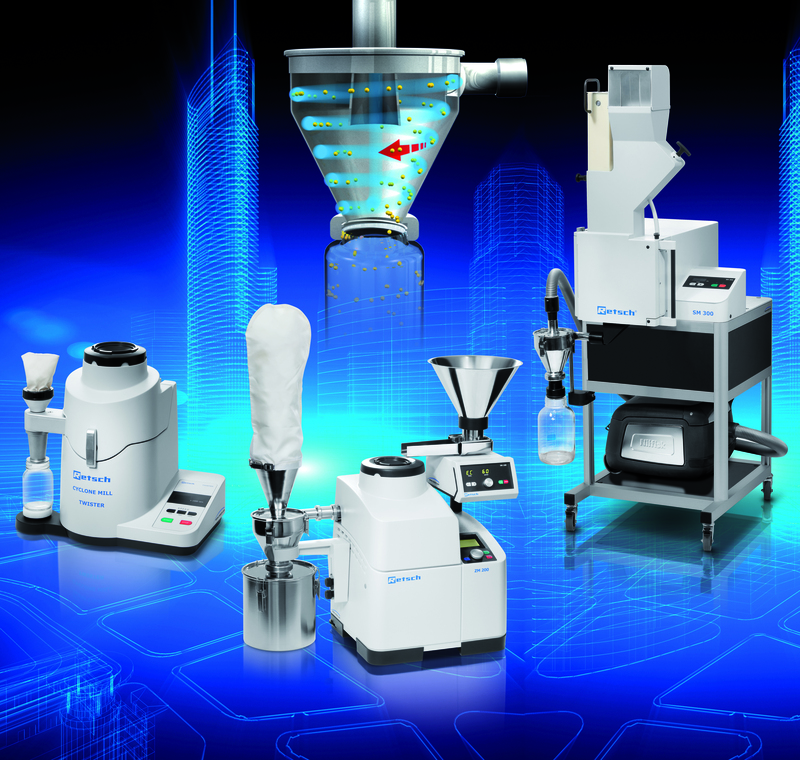 Retsch is the leading solution provider for neutral-to-analysis sample preparation and characterization of solids. On the basis of more than 90 years of experience Retsch develops innovative size reduction and sieving equipment which is characterized by excellent performance, operating convenience, safety and a long lifetime. For the grinding of solids the use of a cyclone can be beneficial, depending on the material properties. The rotation of the mill’s rotor or a connected vacuum cleaner produces a rotating air flow inside the cyclone, thus optimizing the air throughput. As a result, sample and grinding tools are cooled and material discharge is improved. These effects are particularly beneficial when grinding temperature-sensitive materials. Further advantages are the complete recovery of the sample material as well as the possibility to process larger sample volumes. Its line of laboratory mills includes various models which can be equipped with a cyclone. Whereas the rotor mill Twister has an integrated cyclone, the Ultra Centrifugal Mill ZM 200 can be optionally equipped with a cyclone and collecting vessels of various sizes. For the Retsch Cutting Mills a combination of cyclone and vacuum cleaner is available. 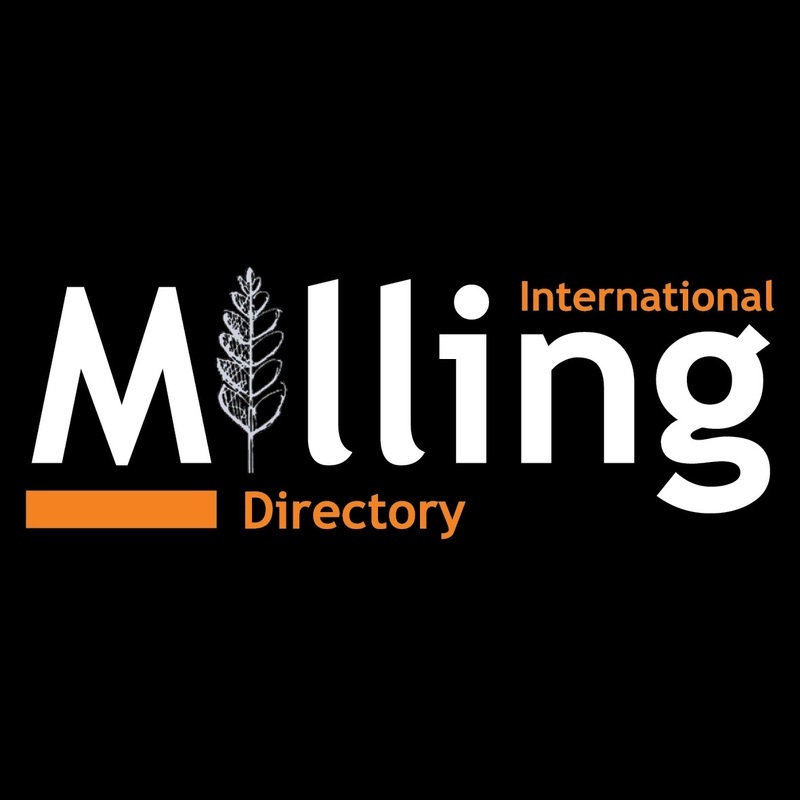 Hello and welcome to another update from the International Milling Directory. In this feature I am very pleased to announce the updated website for Perendale Publishers Ltd. The new website takes its design directly from our PPLAP feature which is available to download for smartphone and its easy navigation and user friendly display makes it an essential tool for industries experts across the globe. Visitors to the website can now easily access its main publications and directories and even commit to yearly subscriptions. There is also relevant links to Perendale’s book review service which provides customers with a sound and unbiased view on industry related literature, and even links you directly to Amazon where you can purchase them… based on a good review of course! For those who need be reminded Perendale specialise in delivering unrivalled expertise and knowledge of the agriculture, milling and aquaculture industries across the world. They are responsible for publications such as Grain & Feed Milling Technology (GFMT) magazine, International Aquafeed (IAF) magazine, The Biomarine Marine Directory and of course The International Milling Directory. Aside from we run web platforms such as the Aquaculturalists, The Global Miller, The Global Milling News and MillingInternational. You will also find a link to the international events register where companies can register their attendance with IMD or IAF and Perendale usually plays a big part in supporting the media for events such as VIV International, ISRMAX and this year’s London 2012 Biomarine Convention. If any subscribers would like to learn about more about the website or any projects that Perendale is involved with please feel free to get in touch! Building upon the success of ISRMAX in India, Pixie Consulting Solutions Ltd. has joined hands with IMPACT Exhibition Management Co. Ltd. to create one of the largest platforms to address the Global Rice, Sugar and Agriculture Industry. ISRMAX Asia 2012 – Asia’s premier agriculture exhibition & conference dedicated to Rice, Sugar and Maize Industry – will take place in Bangkok, Thailand from 29th to 31st August 2012 at IMPACT Exhibition and Convention Centre, Hall 8. The event will bring together people from all walks connected with the Rice, Sugar and Agriculture Industry namely: milling technologies, infrastructure, traders, institutes, associations, government bodies, and industry experts. With Asia producing over 90% of world rice, it occupies the most prominent position in the world Rice Industry which places this year’s event in its prime location. Visitors will have the chance to meet over 195 international and local exhibitors showcasing the latest products, services, technology and live demonstrations from the entire value chain from pre-harvest to post-harvest. Notable exhibitors already registered include TN Metal Works, Dunar Food Ltd., T.G. Control Co., Ltd. and Chery Heavy Industry Co. Ltd. who are all industry leaders in their respective fields. Cane Farmer and Sugar Millers. Many other platforms for discussion have also been arranged by ISRMAX, details of which you can find on their website at www.isrmaxasia.net where you can also pre-register your attendance to be one of the 10,000+ expected visitors. For trade visitor invitations and bookings subscribers can also contact +66-2833-5315 or email kochakorns@impact.co.th. Remember you can notify IMD of your attendance to world trade events using our PLAPP service, available on smartphones. The International Production & Processing Expo (IPPE) will serve as the umbrella name for the new U.S. Poultry & Egg Association (USPOULTRY), American Feed Industry Association (AFIA), and American Meat Institute (AMI) 2013 Expo in Atlanta. The operation of this single structure makes it one of the 50 largest tradeshows in the United States with more than 1,000 expected exhibitors and close to 400,000 net square feet of exhibit space. Each association will continue to operate independently, serving their respective constituents in offering targeted education and networking opportunities that compliment the Expo. This newly announced cooperation also sees the launch of the brand new logo for the 2013 Expo (above) which brings together the expertise of three major associations. U.S. Poultry & Egg Association is an all-feather organization representing the complete spectrum of today’s poultry industry, while AFIA is the world’s largest organization devoted exclusively to representing the business, legislative and regulatory interests of the U.S. animal feed industry and its suppliers. AMI represents the interests of packers and processors of beef, pork, lamb, veal and turkey products and their suppliers throughout North America. The event takes place at the Georgia World Congress Center Atlanta, GA in January 2013. The full show times are as follows: Tuesday, January 29, 2013: 11 a.m. – 6 p.m. Wednesday, January 30, 2013: 9 a.m. – 5 p.m. Thursday, January 31, 2013: 9 a.m. – 3 p.m. There will be plenty of available accommodation in the surrounding areas thanks to the centre’s prime location, but potential attendees should book now to avoid disappointment. For full details subscribers should visit www.ipe13.org where you can find more about the expo and the necessary travel and hotel arrangements. Any IMD listed companies attending can notify us of their attendance using PLAPP or by contacting me nearer the time. Urgent: Equipment Guides for 2012/13. As is becoming my nature at this busy time I am cracking the whip (I’m a nice guy really!) and pleading to any IMD listed company that has shown interest in submitting an equipment guide for IMD 2012/13. The design process has now begun for the directory and with the publishing process due to begin soon it is vital that we receive your completed templates as a matter of urgency. If you have misplaced or not yet received the product template that you require please contact me and I will send you a new one. Let’s not forget that this service is provided free-of-charge and your equipment guide won’t just be seen by our 8,072 print subscribers. It will reach the 41,000 (approx.) online readers visiting hosting websites such as Slideshare and Issuu where the IMD is also available and even further still every new company profile page that we create is posted right here on millinginternational. And then there is of course the circa 300,000+ visitors expected on our www.internationalmilling.com expected throughout the year where you profile will be displayed. I have templates for the following product & service categories, remember to save a completed form as an excel spreadsheet and send it back to me with any altered or additional information that you might have for your specific product. Cleaning (grain), Colour Sorting, Coolers &Dryers, Drop Forged Chain & Components, Dust Filtration (aeration), Extruders & Expanders, Hammermills, Level Indicators, Mixers & Grinders, Packaging Machinery, Pellet Press, Rollermills, Sieving & Sifting, Storage (silos & warehouse), Weighing. I look forward to receiving your guides and bringing the essential tool to you for 2012/13.